This is a rare find. 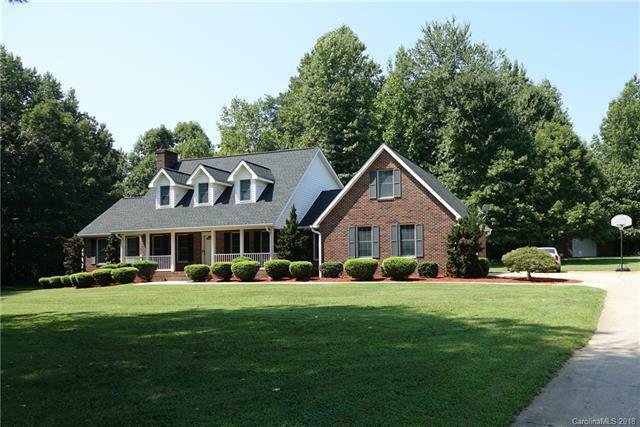 This property is in a quiet neighborhood with 1.17 acres of land. Custom built brick exterior, premium Cul-de-sac lot and no HOA! Master bedroom on main floor. Sunroom with double doors leads to the huge deck and the private backyard has a park like setting with neatly mulched flowerbeds. Kitchen is spacious and light with working island. Master is spacious with ensuite bath w/dual sinks, shower, stand alone tub. Two secondary bedrooms and bathroom on the second level. Laundry with sink on main level. Separate bonus room above the garage. The two car side load garage has a utility/storage room. There is an additional freestanding garage large enough to accommodate two small cars.